I enjoyed watching Korean traditional music performance occasionally while traveling around Korea a lot! It's quite different compared to Malaysian traditional music but kinda similar to Chinese or Japanese. Among the instruments, gayageum and haegeum are my favorites. One of the best performances that I watched was at Solleung Station where the artists belted their renditions of Beatles's using purely Gayageum. Amazing, right? I could stand with the crowds forever just listening to that performance but I couldn't! 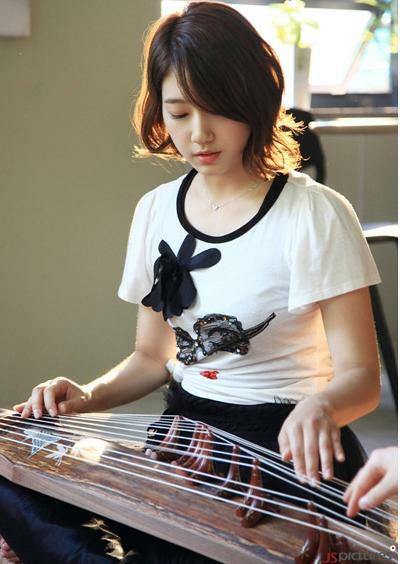 If you are CNBLUE's Jung Yong Hwa and Park Shin Hye's fan, you must be familiar with gayageum as Park Shin Hye carries around that huge bulky instrument many times on the earlier episodes of Heart String / You've Fallen For Me drama. I 'm not interested much about the drama cause the plot and directing are just meh...*as if I'm a good director..haha* but I love it when they try to fuse traditional and pop rock music. The result is just marvellous! I'm quite skeptical initially but it sounds so natural. They blend just nice. In one of the episodes, Park Shin Hye played the gayageum using her smartphone application and guess what I did next? I installed the app immediately. I envy those people who could play by the ears!! 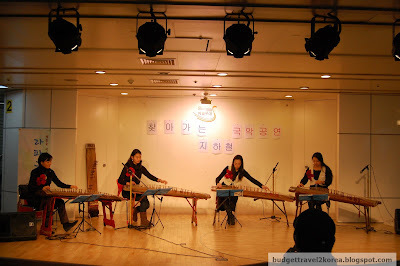 While web researching for gayageum and haegeum, I came across a Korean traditional instruments class for foreigners is available at National Gugak Center - http://www.gugak.go.kr/eng/education/clas_idx.jsp. The fee is only 30,000 won and it runs for a semester of 3 months. So cheap!! Check out this song from Chuno OST with haegeum as the main instrument.